I’ve had a number of coaching conversations recently that made me realize that it was time to reshare this post from last October. 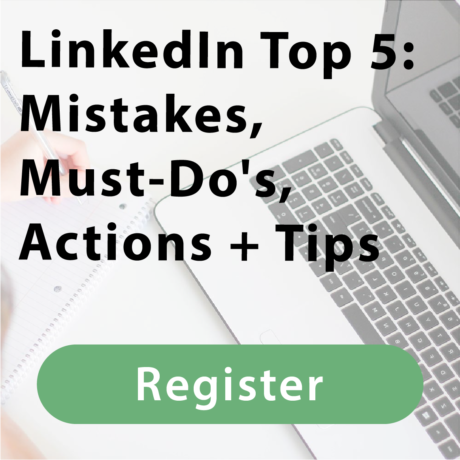 Your LinkedIn search appearances is one of my favorite features on your LinkedIn profile. 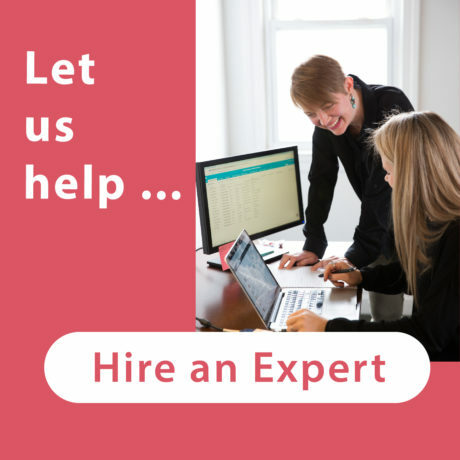 There is a ton of great information that can be gleaned here. Read on for more information! LinkedIn now makes it so easy to see how your network is interacting with your profile. The Dashboard on your profile serves as a central hub, where you can view Who Viewed Your Profile and, if you publish your own content on LinkedIn, your Post Views. 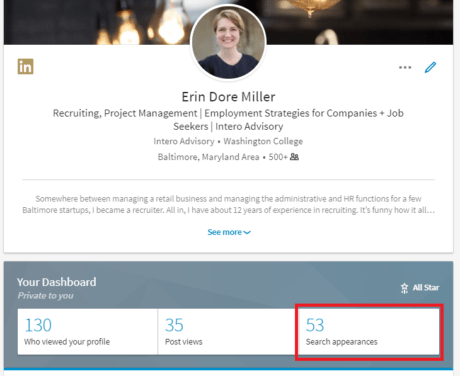 The most exciting addition to this Dashboard is your LinkedIn Search Appearances. 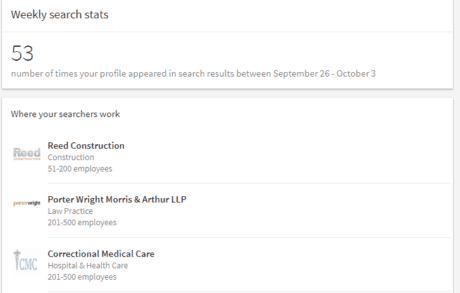 Have you ever wondered if your Profile shows up in searches launched by other LinkedIn members? Well, now LinkedIn is giving you this information directly. Let’s take a look. On your Profile, you can find your Dashboard under your Summary. The Search Appearances link is the selection on the right. After clicking on this selection, you will be taken to a new page where you can view specific details about your Profile Search Appearances. LinkedIn tells you how many times your Profile has appeared in seach results between a given time period. The also share with you where your searchers work. You are also able to view the titles and professions of these searchers. 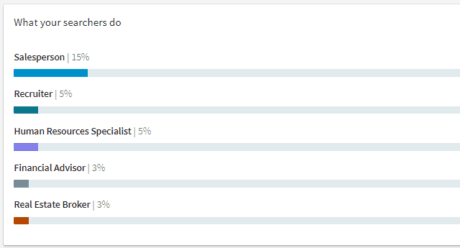 As you can see from the infromation below, the majority of the people that found my Profile in their searches were salespeople. This information is incredibly helpful in discovering if your Profile is keyword optimized and is attracting the kind of viewers that you are trying to reach. 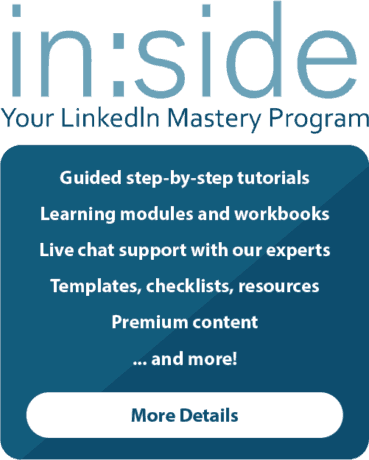 This feature is invaluable for salespeople, job seekers, business owners and anyone else who has the goal of attracting more visitors to their Profile. Check in often, study this information and use it wisely to tweak better optimize your Profile content. 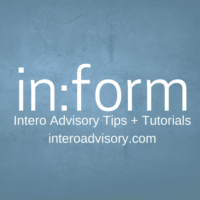 This post was originally published on Intero Advisory’s website in October 2017. Please note that LinkedIn is constantly changing. While it’s current now, it may not be in the coming weeks or months. 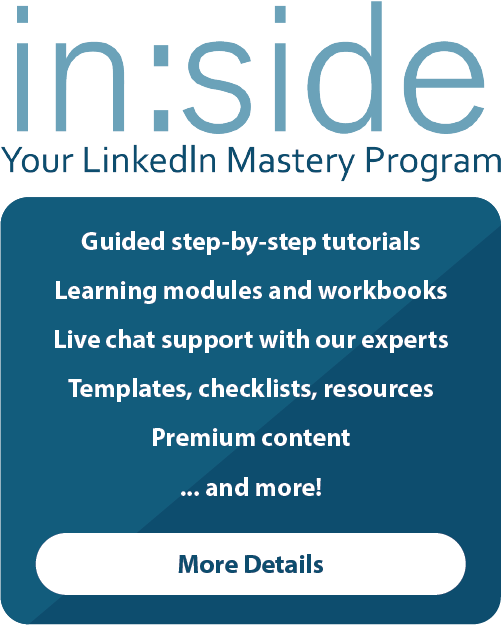 < What is Your 2018 LinkedIn Training Plan?